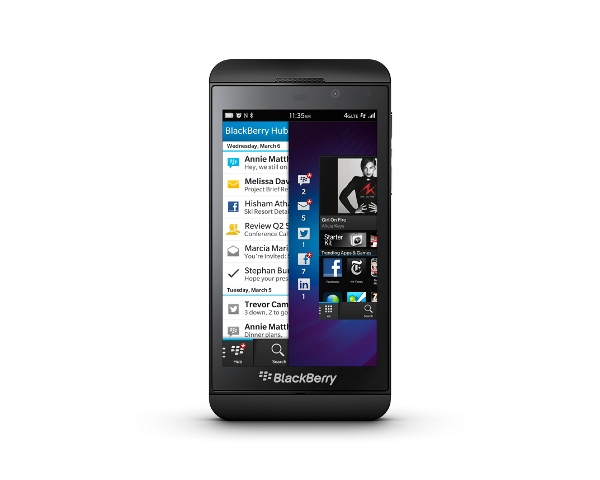 Would you like to get your hands on a new BlackBerry (BBRY -2.89%) Z10 smartphone before it goes on sale in the U.S. on March 22? Try South Africa. It's been on the shelves there since March 1. This is not to suggest that South Africa is a more important market than the U.S. Obviously, with a population of about 50 million -- compared to more than 300 million here -- it's not. But at least South Africans can say they've been loyal to the BlackBerry brand: It still holds a 50% share of the smartphone market there, years after it fell off the radar screens of U.S. consumers.